Is that a Rubber Glove in Your Pocket? Monday of the first ever Sufferfest National Team Training camp was upon us. The team had woke up with extreme enthusiasm. A random bunch of patriotic individuals from a mythical nation converged on Aigle, in Rhone Valley, Switzerland. What on earth had the UCI agreed to? 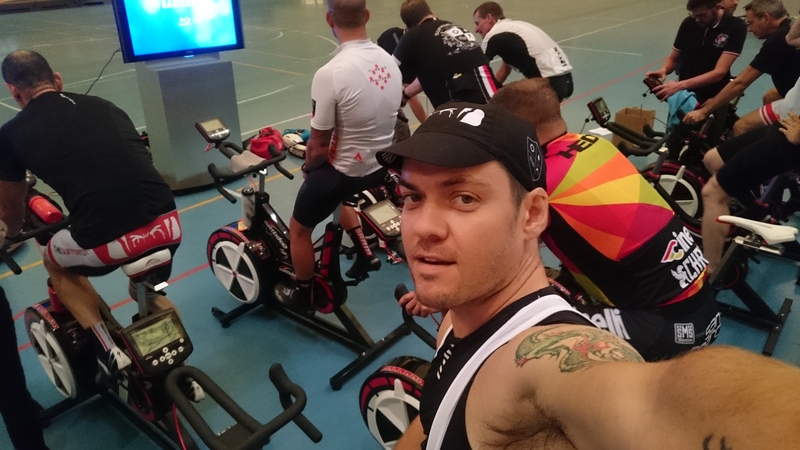 Rumors were floating around that Sufferlandria might be looking to enter a team into next years World Championships. 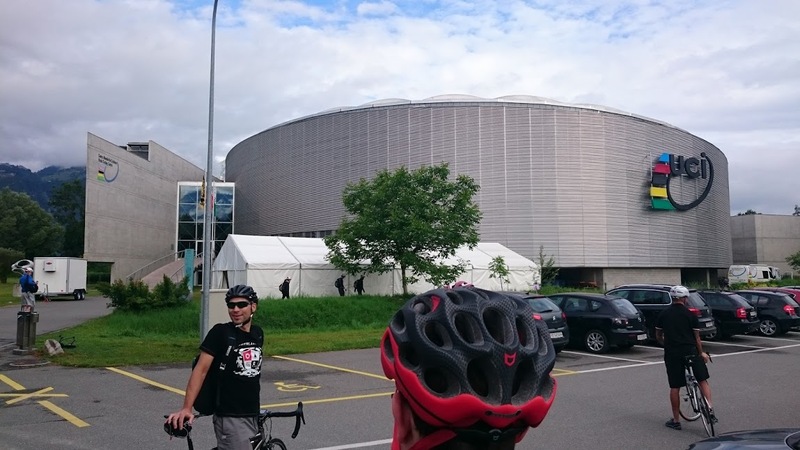 The start of the day was a quiet three kilometer roll at the World Cycling Centre, the UCI’s world leading training facility on the banks of the Rhone River, complete with a replica version of the BMX track for the Rio Olympics next year. As we rolled up to this amazing venue, it was hard not to be soaked up by the sheer imposing nature of the moment. We were arriving at the prime training venue for the cycling world, for a training camp that had never happened before. 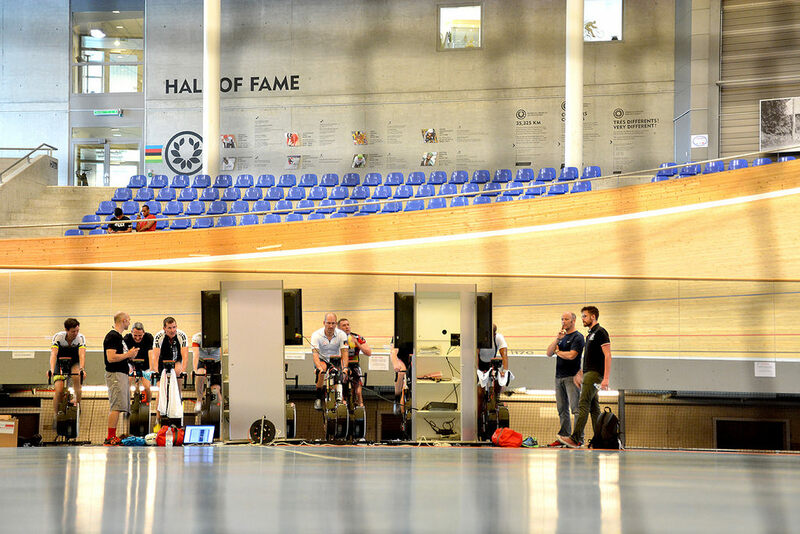 Never before in the UCI’s history has the World Cycling Center opened its doors to anyone but national athletes. But of course, we are national athletes, once the UN recognizes Sufferlandria as a nation. After being greeted by the UCI’s top brass, we were taken to the most important part of the World Cycling Center, the Service Course, a globally recognized program that jump starts the cycling mechanics careers of those from developing nations. You see, not every country has the funding and facilities of the United Kingdom or United States to bring to life programs that create a career for cycling mechanics in the professional tours. With our bikes in top shape, it was time to get a baseline for the week. Any sports scientist with tell you – the key to get faster on the bike, is knowing where you are now. And the key to learning that is through testing. 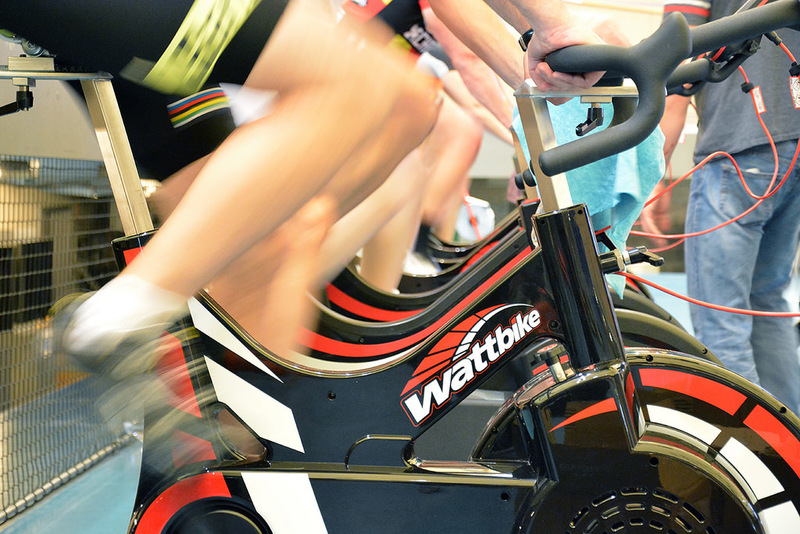 For Sufferlandria, that means Watt Bikes and Rubber Glove, a guided test to find your Functional Threshold Power (FTP). The resident sports scientist, Sir Neal Henderson, would put us through our paces, to push our limits to find the talent that would tackle the week ahead. Over the past few months, my training had predominately been zone 2 training in an aim to improve fuel efficiency and to drop a few kilograms. I had, however, just the Rapha #MyHour challenge, one in conjunction with Sir Bradley Wiggins attempt at the Hour Record. So I knew that pacing would be key during the FTP test. Twenty minutes is a long time on the bike, especially when your pushing yourself to your limits. The mind starts to wonder as you consider everything from quitting to pushing your power higher. Your ability to concentrate gets narrower and narrower, until you can only see one or two numbers on the screen in front of you. My focus was on average power and cadence, as my mind played a guessing game to see if I could get extra watts out of my legs. The final minute brings a new level of focus, as senses start to almost shut off to the world as the seconds count down. I disappointed myself, backing off with two seconds to go, only to see my power drop 1 watt, to 259 watts. 260 would have been so much more satisfying. Braith, who rode beside me, pushed out an impressive 335 watts. No wonder he sped off up the climbs. First, my major realization which continued throughout the week was that I came into the camp already tired. My CTL was pushing above 130 after three days of big climbs totaling to over 7000 meters in elevation gain. Data later in the week suggested my legs are closer to 288 watts. Next, while on the watts bike, athletes around us are training on the Velodrome, tempting us with new discipline, something we have to explore that afternoon.